I arrive home on the 16th and I have a lot of ambitious plans of things to do before we hit the road. Testing out Googles new Project Fi is the most exciting, a $26 a month phone bill sure would be nice. 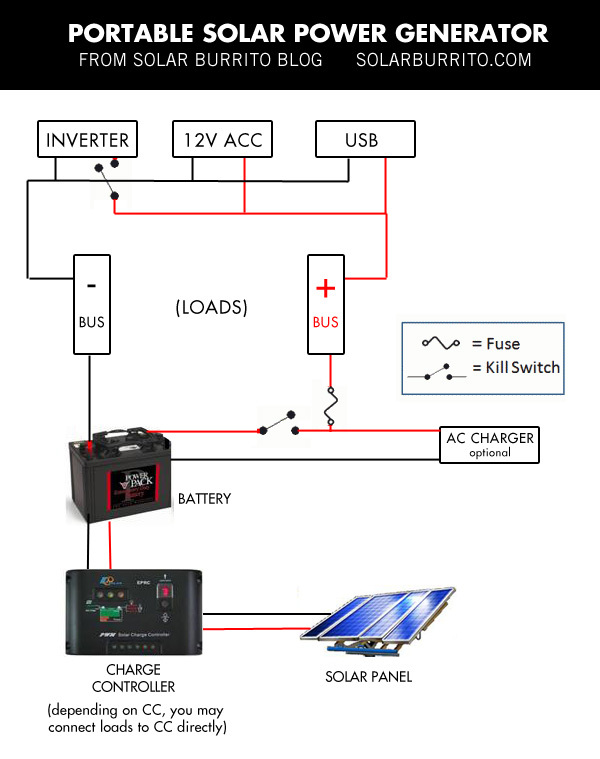 But the biggest step into the unknown is the DIY solar generator I’m going give a try. I found some plans here and it looks like a feasible project idea that could teach me a lot, and the price tag was only around $200 bucks, so if it goes up in flames it’s not a huge loss. 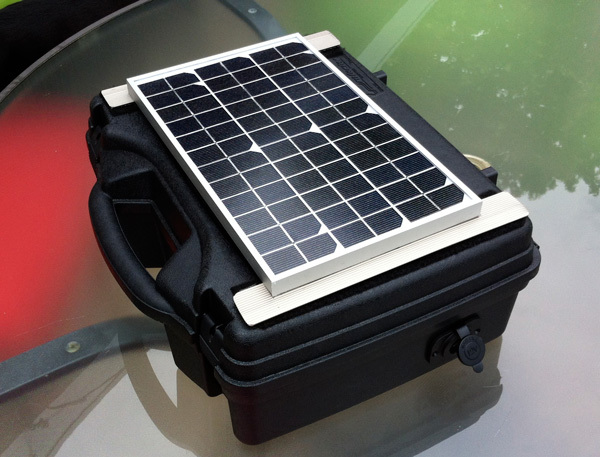 The idea behind making such a system is that we’ll need a sizable portable battery while on the road. We’ll have two laptops, a phone, a pocket wifi and while I’d like to disconnect from it all for the most part, some of these tools are critical for planning and emergency situations. I saw three solutions here. Buy a $25 AC inverter, plug it into the car run everything off this. Buy a $10, 2.4A x2 USB to car DC adapter. Charges the phones fast and lets you swap out with the inverted if you need to charge. Also I have to consider that a GPS unit will likely be in the single DC plug at all times. The simplest solution and cheapest, but I don’t learn anything here. Buy a 22,000mAh Lithium Ion battery bank for $35, buy a 5V 15W foldable solar panel for $60. The big advantage here is everything is small and light. This is a set up you could go backpacking with. The panel is light and can be strapped to the back of your back or folded and put inside. Really cool stuff, but once again really simple and I don’t get to play with anything new except a USB solar panel. Make a whole suitcase with a lead-acid battery, charge controllers, and gizmos and throw a panel on it. This is the most expensive option, but it should give me the most capacity, flexibility and durability. I’ll be able to switch the inverter and on as needed. I’ll have USB 2.4A x2 in the case. I’ll be able to charge it with a pitifully small solar panel, but nonetheless I get to experiment with a small solar build and actually wire some things together. And inside I have a trickle charger where I can charge up the battery when we hit hotels. I will admit #2 is probably the best set up. A Lithium battery bank is a lot more manageable in size and weight. I also believe you can deplete the charge much further and recharge it much faster than a lead-acid battery. The panel pulls in more power, and it more packable. However, I like things to be difficult and a little challenge so I choose #3. I’ll update here with how well it goes.